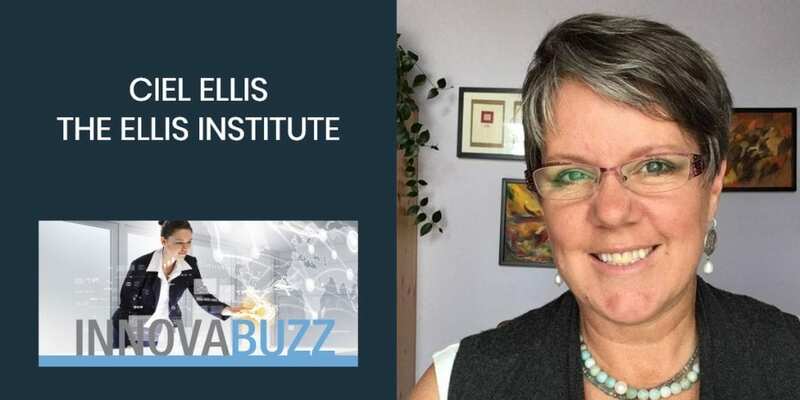 In this episode, I’m excited to welcome to the InnovaBuzz Podcast, Ciel Ellis. Ciel is a Personal Empowerment Coach, best-selling author, trainer and an artist. She is the founder of The Ellis Institute, who work with service based entrepreneurs to help them build the life they love. This is a very inspiring and insightful discussion, as Ciel shares with us some of her powerful personal stories that demonstrates how she lives her why. She believes that despite difficult experiences, it is within our power to create the ‘delicious’ life that we dream about. Lives that inspire our gifts, values, and worth so that we can shine that brightly into the world. Carol Metz Murray on episode 133 suggested we interview Ciel. Personal writing helps us gain a deeper perspective in life. It is not necessary to completely change the life we are living. There is a way to change how we are living it. Give your negative self belief a voice. Keep asking it for the next negative thing that it wants to tell you, and don’t take it personally because it is not really about you. It is more of your ego trying to keep you in place. When we give voice to this negative side of ourselves, and we keep asking what else it wants to say about us, very soon it gets exhausted. There is nothing more that it has to say which creates a void, and we can fill that void with something else (constructive). First, tell yourself you have so much courage. That in itself is a foundation that you can stand on solid ground when the negative voice comes up again. There’s a difference between being boastful for the betterment of who you are and the diminishment of others. If it is feeding your ego, then it is actually coming to your detriment as well. When you are stating a skill or gift, or an area in business that you really thrive in, that you want to share, that is your gift to bring to the marketplace. We have to own this gift that we have, to the degree that we are capable of, to bring it to the market. The goal that you have set is not in your life currently. If it doesn’t happen, you really haven’t lost anything. You will be exactly where you are now. Putting 100% of your energy into the thing that you want to achieve guarantees that you are going to get closer to achieving the thing you set out to, and along the way you may recognise that there is something even better that you have not seen from the viewpoint you had when you first set the goal. There is a way we can hold our goals being 100% IN but still be flexible to how they show up. It is not our negativity or our limitations that hold us back. It is the fear of our greatness. As humans, we are all creative. We all have a creative skill within us. If we are not practicing a form of creativity, we are leaving a large portion of our personality untouched. If we are not committed, it is never going to happen. There is no comparison when we are authentically ourselves. There is no one to compete with because we are so unique. We are all meant to stand out and shine in all of our individual glory. Here are Ciel’s answers to the questions of our Innovation round. Listen to the interview to get the full scoop. #1 thing to be more innovative – Get in touch with your intuition. Figure out what it is you know and what you understand about this life you are living. That is going to be the foundation of how you are able to innovate in whatever industry you are in. Best thing for new ideas – Getting out of my own way and allowing my intuition to guide me. Following that inspiration and allowing it to come to life in a way that it is meant to. Favourite tool for innovation – Simplification. Simplifying to the core elements of what has you BE well. 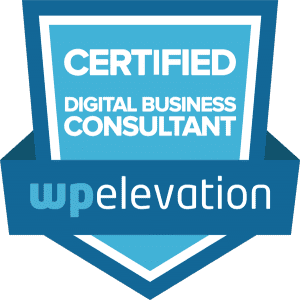 Keep project / client on track – Helping clients determine what it is that they really want, and then really checking up with the client. Differentiate – Be yourself. Figure out who it is you are. What makes you unique is that inherent code that you were born with, and just be more of that. You do not need to measure up or try to compete with anyone. Just be yourself. Know why you are doing what you are doing. There is an underlying passion that comes through the work that you do in the world. Knowing what that WHY is, is going to help you be a leader. It will help you stand out and help you innovate in the business that you bring to your community. You can reach out and thank Ciel through her website and on Facebook. Ciel suggested I interview Hillary Schneider, a Leadership Coach and Founder of Epona Rise Retreat Center. So Hillary, keep an eye on your inbox, for an invitation from us to the InnovaBuzz podcast, courtesy of Ciel Ellis. She is a certified goldsmith. She creates and supplies custom, handcrafted journals to fellow coaches, event planners and private individuals. In 2009, she set out on a motorcycle trip all by herself from Vancouver B.C to San Francisco, California. It was the most remarkable trip she has ever been on.